Hello lovelies! Today's post is featuring Persunmall.com . If you are following me on Instagram, I posted about the huge box that came in the mail and I took a picture of the four items Persunmall sent me. 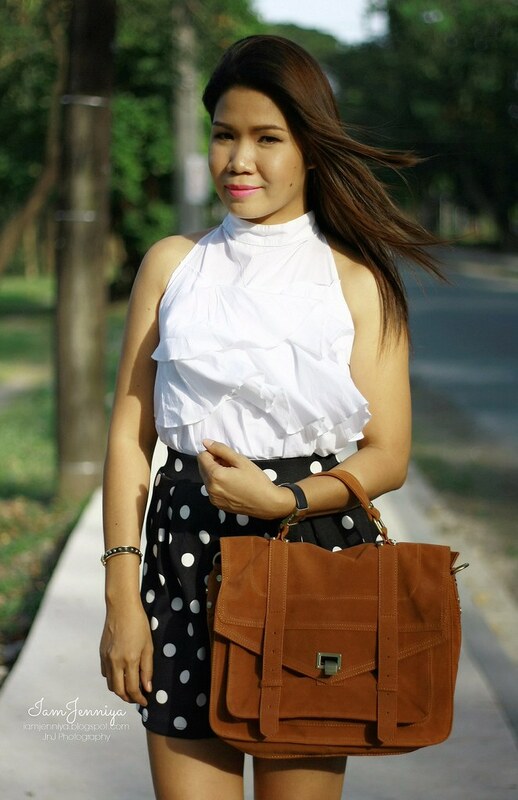 I got retro crossbody bag, polka dot skirt, denim midi skirt & a riveted bracelet. Yey! I'm a happy kid! But for now, here's a look I sported wearing the three items only. I will have another look post for the midi skirt, so watch out for that, too, on how I'd style it. 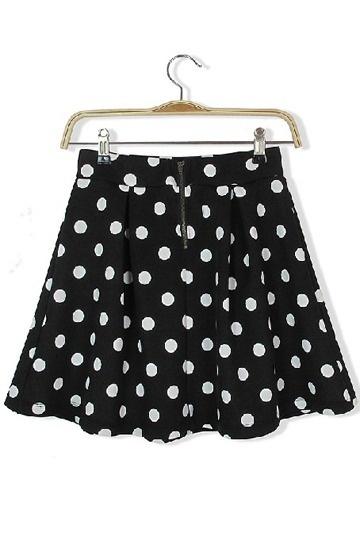 This Retro Polka Dot Skirt is high-waisted and it creates an illusion of long-legs. When I ordered this, I was a bit hesitant because this comes in free size. But according to its size chart on the product page, it could fit even medium frames. I am so thankful that the skirt's waist just fit me right. Yay! It has elastic waist, that's why. And as far as I remember, I do not own any polka dot pieces, so I am giving much love to this first one. It says the fabric is made of terylene. In actual, it is thick and I can say the quality is good. 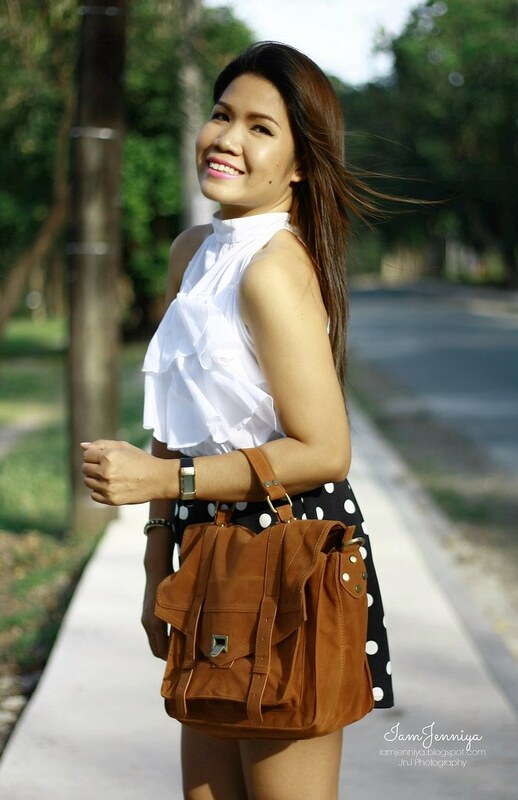 This Retro Matte Leather Crossbody Bag was a new arrival in Persunmall when I ordered it. I was eyeing for a similar one but good thing I waited because the size of this bag is just perfect for everyday errands and most especially for work. 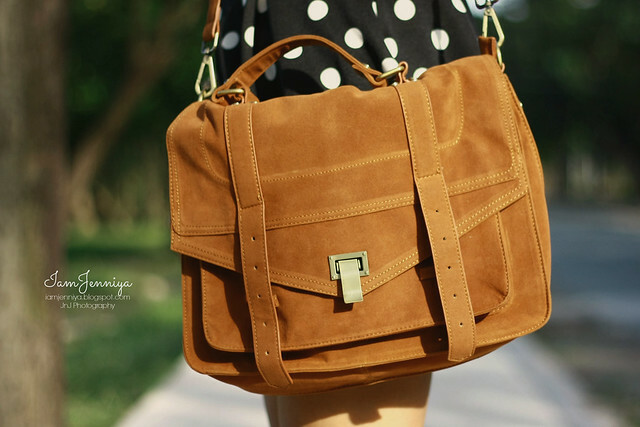 The quality is very good; I gave this bag a thumb up. The detailing is precised and it is sturdy. It has lots of compartments which is a plus point for me. It is available in 5 colors. You can check its full details here. This Punk Leather Open Bracelet with Rivets attracted me most than of other bracelets I found in their site. The rivets and gold combination over that black leather looks pretty cool. See its details here to know why. And I realized when I was making this post that out of four items I ordered, the three items were named with "retro" and "vintage". What a coincidence of names eh? Anyway, I hope you like this look. Do you have the same or similar pieces like the ones I'm wearing in this post? I'd love to see how you styled it. Let me know lovelies! Pre-Valentines Giveaway Ends on 31st Jan.
Persunmall is one of my fab online shops..
that polka dot skirt is to die for!!! i also have a big beauty giveaway on my blog, check it out if you'd like! Lookin beautiful. I love how your bag matches your heels. Gorgeous! Love the look, especially the skirt ! The skirt is soo cute! Lovely the polka dot skirt! You have such gorgeous photos! Nice style, you look cool!! Very nice skirt!!! 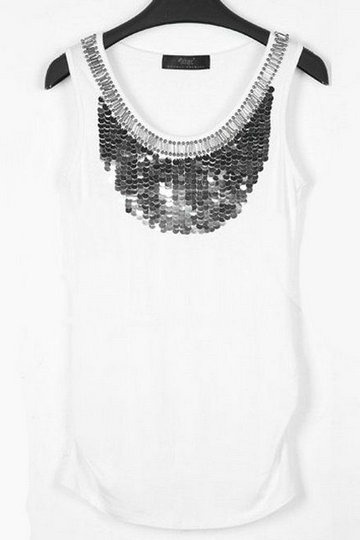 love pois! That's a great look, love that halter neckline on you! lovely look. Such a cute polka dot skirt! What a great look, love the shoes are absolutely amazing!! Great combo, and love your shoes! great combo and love your shoes! Love the bag! I have been looking for a good cheap alternative of the Proenza bag for years! So pretty! Love your shoes! Following you back! I love the bag and the chunky heels. Amazing I love polka dots. I love getting packages! the skirt is lovely.